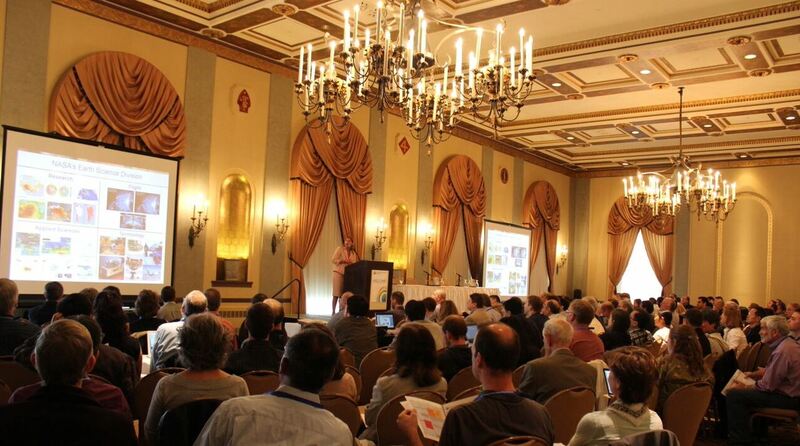 Following the success and momentum arising from the first International Ocean Colour Science (IOCS) meeting in Darmstadt, Germany (2013), the IOCCG agreed to convene a second such meeting in San Francisco, USA (15-18 June 2015), in partnership with NASA and NOAA. Additional sponsorship was obtained from ESA, EUMETSAT, CNES, SCOR and the Gordon & Betty Moore Foundation. IOCS-2015 brought together 260 ocean colour research scientists and space agency representatives from around the world with the overall aim of building a strong global ocean colour user community. Ten breakout sessions provided a forum to collectively address a wide range of topics and to produce practical recommendations for the space agencies. Also included in IOCS-2015 were seven invited keynote talks, updates from eleven international space agencies, poster sessions, reports from the breakout sessions, panel discussions and public lectures (see meeting agenda for details). All presentations from the meeting (keynotes, agency reports and breakout sessions) can be downloaded from the IOCS-2015 meeting website. In addition, a comprehensive report summarizing all the presentations, as well as the reports and recommendations from the various breakout sessions, is available from iocs.ioccg.org/. IOCS-2015 provided a critical interactive forum between space agencies and ocean colour scientists allowing participants to collectively address common issues and goals and indirectly to help the IOCCG in its oversight role. The next IOCS meeting is scheduled to take place in Europe in 2017. A proposal for a new IOCCG working group entitled “Ocean Colour Applications for Biogeochemical, Ecosystem and Climate Modelling”, submitted by Stephanie Dutkiewicz (MIT, USA), was recently approved by the IOCCG Executive Committee. The rationale behind this WG is to facilitate a better dialogue between numerical modellers and ocean colour specialists. The group will examine the various types of models that use ocean colour products, what products are being used and how numerical modellers deal with ocean colour product uncertainty. The group will also examine how ocean colour data is being used in model evaluations and in data assimilation, and how to reconcile model output with satellite ocean colour products. A final outcome from this WG will be a set of recommendations of how the products could be better used by the modelling community and how the ocean colour community could communicate what products are available for a specific purpose, along with the uncertainties of each product. The training course on “Calibration & Validation for Ocean Color Remote Sensing”, a.k.a. 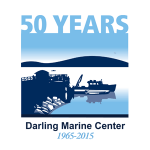 the NASA-funded Ocean Optics Class, recently celebrated their 30th anniversary with the intensive four-week, cross-disciplinary, course in Optical Oceanography at the University of Maine’s Ira C. Darling Marine Center from 6 – 31 July 2015. This class is a continuation of the Optical Oceanography course first offered at the Friday Harbor Laboratories in 1985, and more recently at the Darling Marine Center. All lecture and labs (including videos of lectures) are available at: sites.google.com. NASA’s Ocean Biology Processing Group (OBPG) completed a full-mission ocean colour reprocessing of the MODIS-Aqua ocean colour dataset in June 2015. This reprocessing is part of a multi-mission effort to update common algorithms, product suites, and data formats across all supported missions. Sensor-independent changes are detailed in the R2014.0 Ocean Color Reprocessing General Description. A description of the MODIS-Aqua sensor-specific details of the reprocessing, and an assessment of data quality and impact relative to the previous MODIS-Aqua reprocessing is given on the NASA Ocean Color Web. The final volume (Vol. 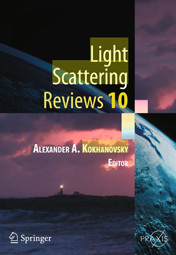 10) of the book series “Light Scattering Reviews” edited by A. Kokhanovsky is dedicated to the discussion of problems in polarized light radiative transfer, atmospheric optics, and remote sensing. A chapter by T. Harmel provides an overview of recent developments in the use of light polarization for applications of ocean colour remote sensing, including assessment of aerosol and atmospheric correction, sea state and associated winds, oceanic and coastal water content, and, potentially, estimation of the ocean carbon stock. 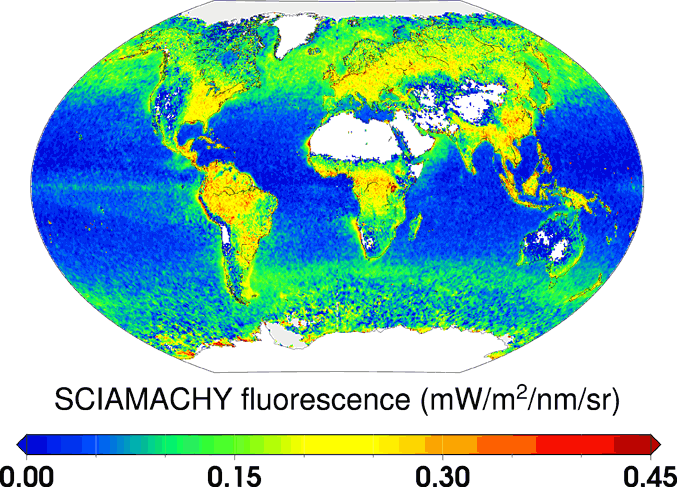 Current estimates of Chl-a concentration from space are based on multi-spectral measurements of the water-leaving radiance regardless of its state of polarization. New investigations, however, are focused on the exploitation of polarization of light in the water column and exiting the sea surface to improve our capacity for observing and monitoring coastal and oceanic environments. This is particularly relevant in view of a possible polarimeter on-board the future NASA mission PACE and the Multi-viewing Multi-channel Multi-polarization Imager (3MI) on the Sentinel-5 mission (European Copernicus program). Other chapters of interest to ocean colour scientists include one by G. Kattawar et al., devoted to a thorough review of polarized light scattering in the atmosphere and ocean, and another by W. Sun et al.presenting the results of polarized radiative-transfer modeling in the ocean–atmosphere-coupled system (see Table of Contents). Several new employment positions have been posted on the IOCCG website including a Scientific Officer to support the international program “Oceans and Society: Blue Planet”, a PhD fellowship at Université du Québec à Rimouski (Canada), M.Sc/PhD position at University of Manitoba (Canada), and postdoctoral positions at Columbia University and the University of North Dakota (USA). For further details see our employment page. On 22 June 2015 ESA successfully launched the Sentinel-2A satellite from Europe’s Spaceport in Kourou, French Guiana. 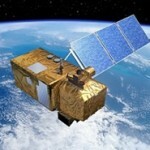 Sentinel-2A carries a high-resolution optical payload that will provide high-definition optical imaging of vegetation, soil and freshwater to a resolution of 10 metres, for Europe’s Copernicus environmental monitoring programme, an initiative headed by the EU in conjunction with ESA. Sentinel-2 has a wide swath of 280 km and acquires data over all land surfaces, including coastal regions extending 20 km from the shore and major islands greater than 100 km2 in size. Significant acquisitions over some coastal areas are expected because the entire swath is acquired if just one pixel falls over the land – this will include coastal/inland waters, the Mediterranean Sea and all closed seas. Sentinel-2 is expected to be one of the most suitable missions for a systematic monitoring of coral reefs for the next decade, and the combined use of Sentinel-2 spatial resolution and Sentinel-3 spectral resolution will offer unprecedented water quality observing capabilities for coastal and inland waters. Sentinel-2 is the second of six scheduled pairs of Earth-monitoring satellites under the Copernicus programme, with Sentinel-3 (carrying the OLCI ocean colour sensor) scheduled for deployment in October this year. Several new publications have been added to the IOCCG Recent References list including a paper by Mélin and Vantrepotte (2015) entitled “How optically diverse is the coastal ocean?” The authors constructed a set of optical water types (or classes) from SeaWiFS data, covering conditions from very turbid to oligotrophic, to study the optical complexity of the global coastal waters. When applied to global SeaWiFS data, this set of optical water types allows an efficient classification of coastal regions, marginal seas and large inland water bodies. Optical diversity is analyzed with a Shannon index computed with the class memberships. Regions with relatively low optical diversity are the most turbid waters as well as closed seas and inland water bodies. Oligotrophic waters also show a relatively low diversity, while intermediate regions between coastal domain and open ocean are associated with the highest diversity, which has interesting connections with ecological features. Average (normalized) spectra for the 16 classes (click to enlarge). In another new article, Wolanin et al. (2015) present a new satellite remote sensing approach to retrieve chlorophyll-a (chl-a) fluorescence at its red peak (~685 nm), by using measurements from the hyperspectral instruments SCIAMACHY and GOME-2. This new retrieval enables simultaneous observations of chl-a fluorescence from both land and ocean, by exploiting narrow spectral structures resulting from the filling-in of the Fraunhofer Fe I line. The red peak of chl-a fluorescence from terrestrial vegetation has never been observed from space before, and marine chl-a fluorescence was retrieved for the first time with hyperspectral satellite-borne sensors. The obtained SCIAMACHY results show good spatial agreement with other datasets, MODIS nFLH for marine chl-a fluorescence, and MODIS EVI and GOME-2 far-red chl fluorescence for land vegetation. Improved knowledge on chl-a fluorescence will improve studies on photophysiology, productivity and health of both, marine and terrestrial ecosystems. Global composite of red peak of chl-a fluorescence for both land and ocean retrieved from the SCIAMACHY instrument (years 2003-2011) (click to enlarge). A recent special issue of Remote Sensing of Environment is devoted to NASA’s future Hyperspectral Infrared Imager (HyspIRI) mission. Hestir et al. (2015) provide a comprehensive overview of the potential and need for a global hyperspectral imaging mission for mapping freshwater ecosystems. The proposed high radiometric quality of HyspIRI is well designed for measuring freshwater ecosystems accurately at moderate to high spatial resolutions, the spatial and spectral resolutions are well suited for the retrieval of multiple biophysical variables, such as phycocyanin and chlorophyll-a, and the effective temporal resolution is suitable for characterizing growing season wetland phenology. 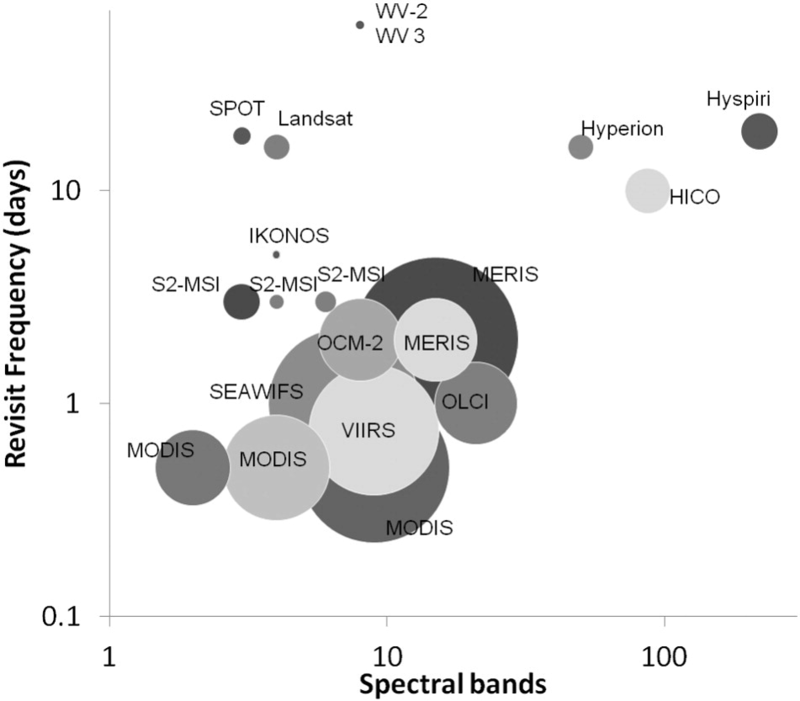 Spectral (x-axis), temporal (y-axis), and spatial (size of bubble) characteristics of satellite sensors commonly used for freshwater ecosystem measurements (click to enlarge). Kudela et al. (2015) demonstrate that spectral-shape based algorithms requiring minimal atmospheric correction can be used across a range of legacy sensors to detect cyanobacterial blooms. With the availability of high spectral resolution data and appropriate atmospheric correction, it is possible to separate the non-toxic cyanobacteria Aphanizomenon from the toxin-producing Microcystis. In California, Aphanizomenon blooms prior to Microcystis, thus leading to the potential for an early warning system based on the identification of algal types. Diersen et al. (2015) focus on nearshore floating vegetation and find that a “Sargassum Index” of reflectance at 650 and 630 nm can discriminate between Sargassum and the seagrass Syringodium filiforme, and that water absorption features at 930–990 nm can be used to assess its age. Hu et al. (2015) also evaluate the spatial and spectral requirements needed to discriminate Sargassumfrom spectrally similar materials including other marine algae, marine garbage and oil emulsions. 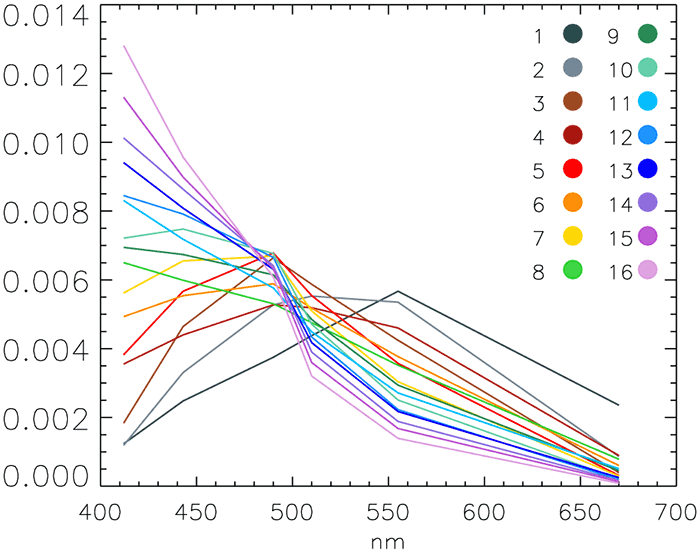 HyspIRI, with its improved spectral, spatial and radiometric properties, provides a good compromise between spatial coverage, and spatial resolution with the wavelengths needed for discrimination.